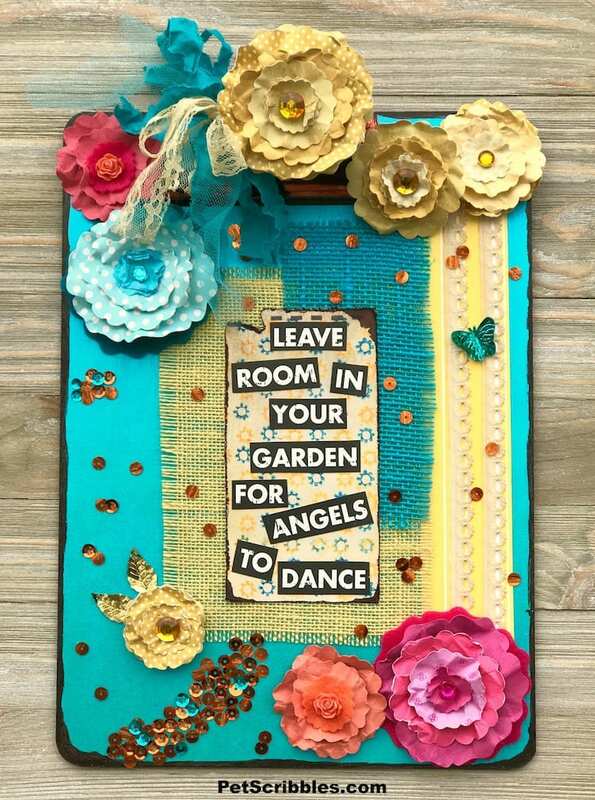 It’s time to welcome Summer with a garden theme altered clipboard! 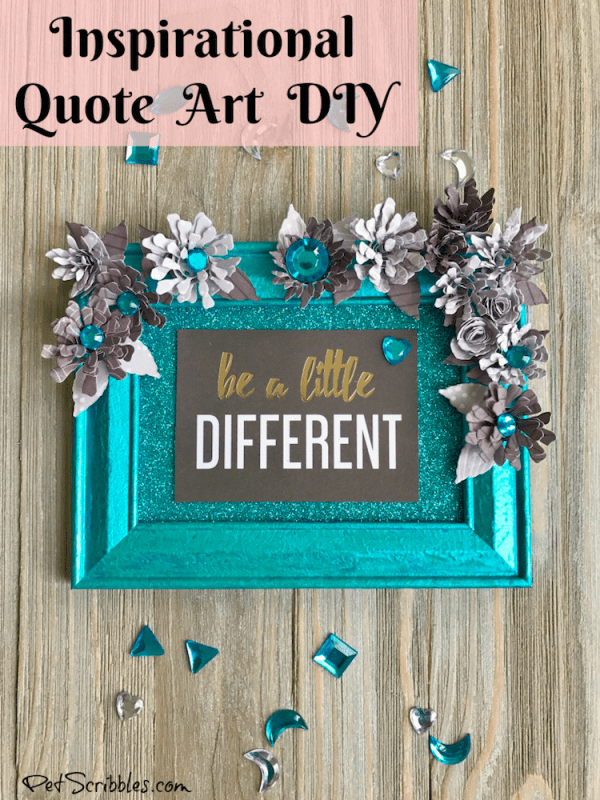 With an inspirational quote and lots of pretty paper flowers, this garden art will add a touch of Summer wherever it hangs! 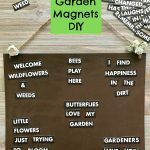 Welcome Summer with a Garden Theme Altered Clipboard! 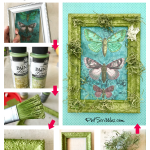 I had so much fun creating this garden theme altered clipboard for Xyron! FTC Disclaimer: I’ve received products/compensation as part of the Xyron Design Team. 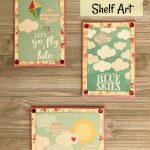 This Garden Theme Altered Clipboard, however, is 100% my own project! Some of the links in this post are affiliate links. I explain more here. 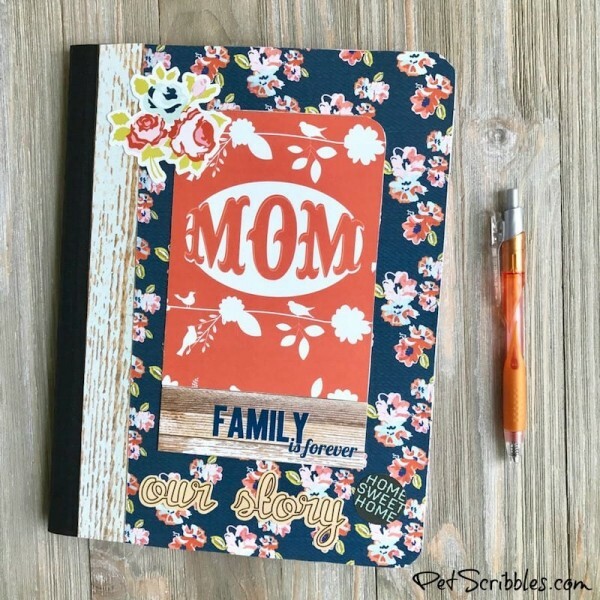 I’m thrilled to tell you that the photo above — along with my complete tutorial on how I created this altered clipboard — is in the current issue of Bella Crafts magazine! 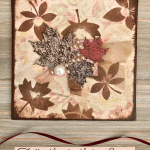 Take a closer look at the altered clipboard above, and you’ll see that I used colored burlap. 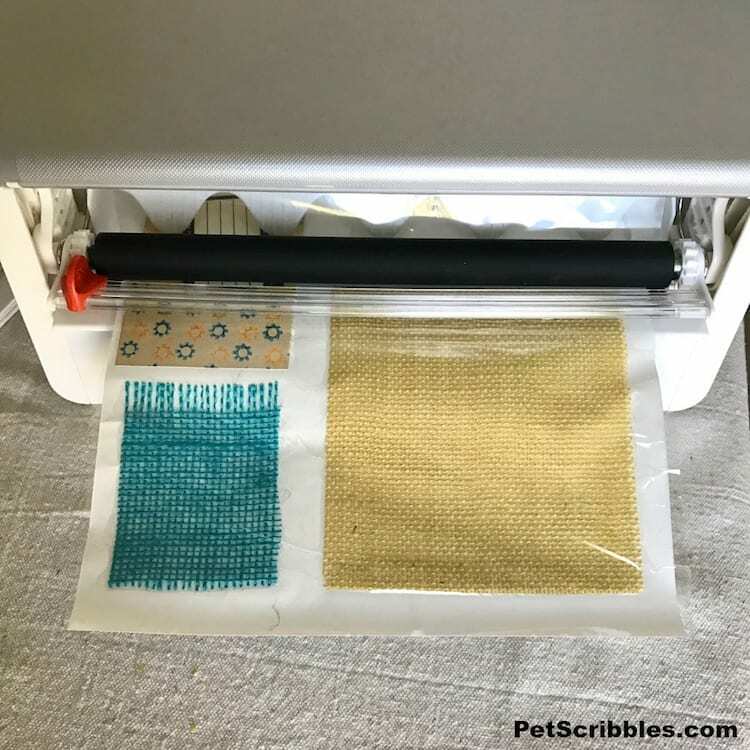 I ran the burlap through my Xyron Creative Station! In goes the burlap, and out comes the burlap (above) with adhesive on the back of the entire piece ready to adhere to my project! 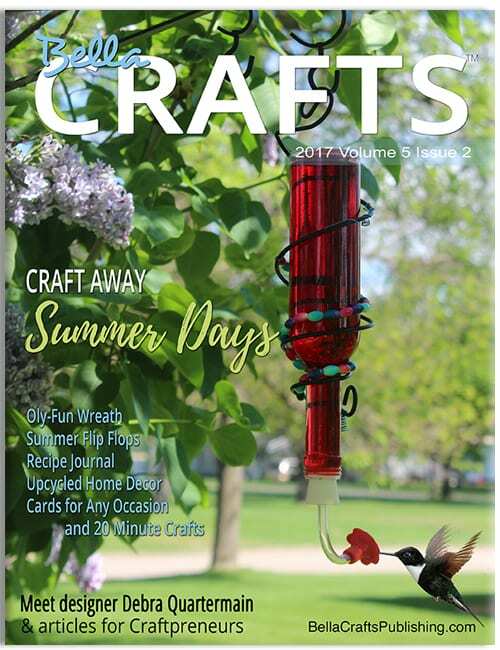 If you’ve never read Bella Crafts magazine and you love crafting, definitely give Bella Crafts a try. 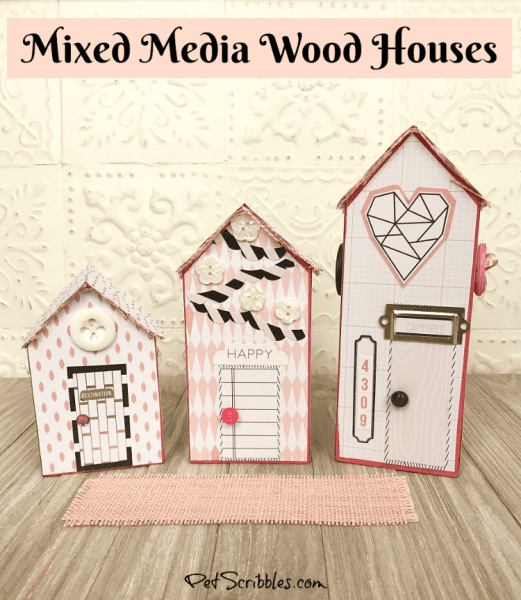 It’s a full-color digital magazine filled with wonderful crafts, tips and inspiring projects. Your subscription gives you access to ALL past and future issues. Seriously — this is why I’m so excited to have one of my projects featured in the magazine! Click here to get more information and to subscribe. 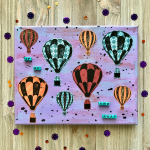 Fun craft ideas with the Xyron Creative Station! 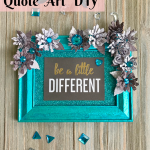 If you want to poke around my website and get more ideas on how you can use the Xyron Creative Station — or its little sister, the Xyron Creative Station Lite — check out my projects below . . .